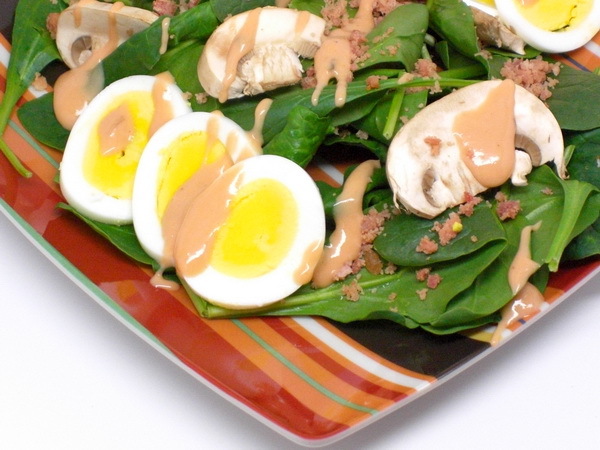 This one is high in calories as salads go – but I can’t skimp on the egg or bacon or it just does not feel like a TRUE spinach salad to me. So I pair it with some really low cal seafood like Cajun Seafood Mix and it makes a great meal. Lay spinach on a plate. Top with egg, bacon and mushrooms. Spoon dressing over the salad.